On November 16, 2017, over 100 WTS leaders from across America met at The Golden Nugget Hotel in Downtown Las Vegas for two days of Chapter Leadership Training. Cerasela Cristei, the Chair of the Professional Development Committee for the WTS D.C. Chapter was selected to attend this training, along with Chapter President, Avital Barnea and Hospitality Committee Chair, Brittney Gick. Cerasela was selected for the training due to her service on the committee for the past four years, as well as her dedication to the advancement of women in the transportation industry. On the first day, presentations and group discussions involved diversity, marketing and branding, membership, and mentoring. Leaders shared ideas and strategies they have successfully applied in their individual chapters. The WTS Foundation was at the center of the afternoon discussions, including review of the strategic plan, goals and program components, as well as IRS rules for filing tax returns. On the second day, the group collaborated to complete a SWOT analysis for the organization (strengths, weaknesses, opportunities, and threats). While this event focused on concerns relevant to the WTS board members and chapter leaders, the content and lessons were widely applicable across many disciplines and professions. It also afforded a variety of networking opportunities. 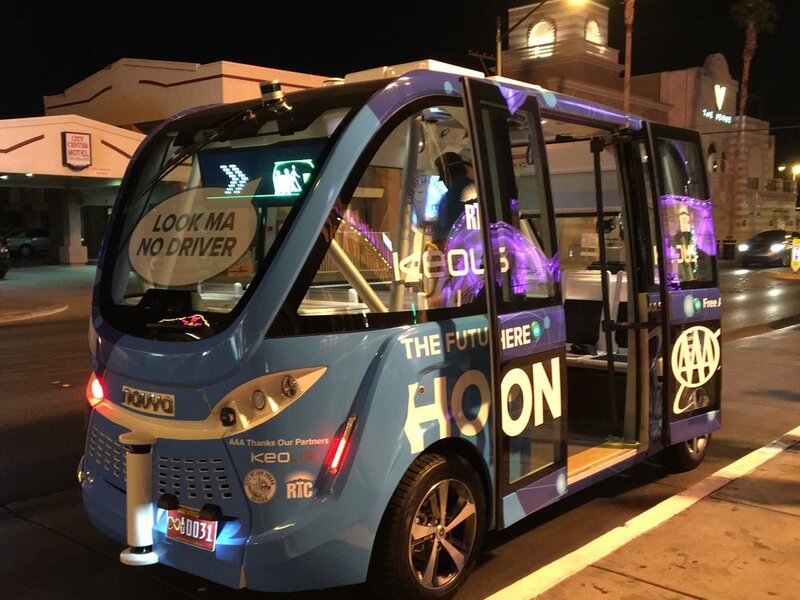 While in Las Vegas, Cerasela and Avital were able to sample transportation of the future, by experiencing a driverless ride in a Keolis shuttle. Both noted that the vehicle was equipped with an emergency brake, for passenger peace of mind!